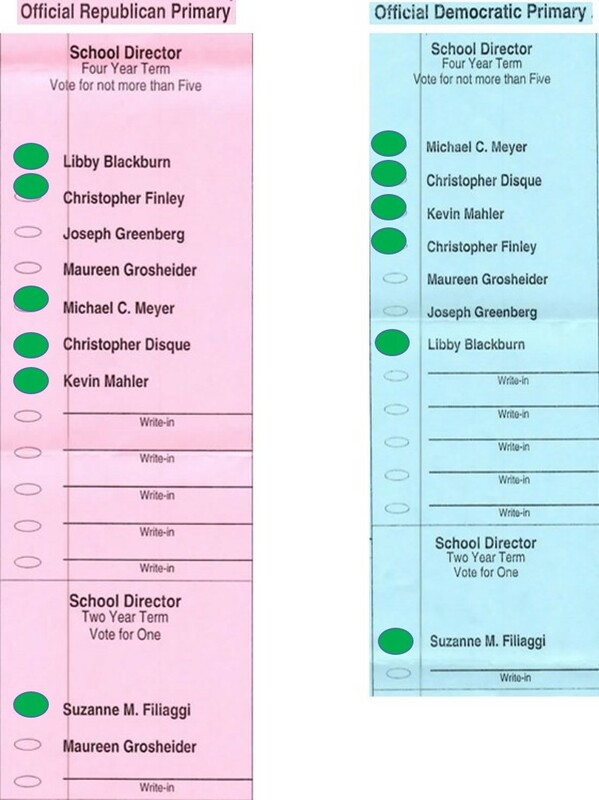 The efforts of the NA community two years ago to bring change to the NA School Board will continue to be undermined if Maureen Grosheider and Joe Greenberg are re-elected on May 19. We need your vote to elect new candidates in their place. Maureen Grosheider has been on the Board for 2 decades. To increase her chances for re-election, she is running for both a 2-year and 4-year term at the same time. Under Grosheider’s leadership, the Board raised taxes 3 years in a row, operated classes above class size guidelines, and relied on inaccurate projections that led to the failed recommendation to close a school. Joe Greenberg has supported a tax increase every year since he joined the Board. Like Grosheider, he voted against the elementary class size policy. When 11 elementary classes started the 2012-13 school year above the class size guidelines, Greenberg stated that implementing a class size policy like other districts was unnecessary. Please support the 6 candidates who are committed to moving NA forward: FILIAGGI-FINLEY-MAHLER-MEYER-DISQUE-BLACKBURN. To view the ballot for tomorrow’s election, please click here or see below. 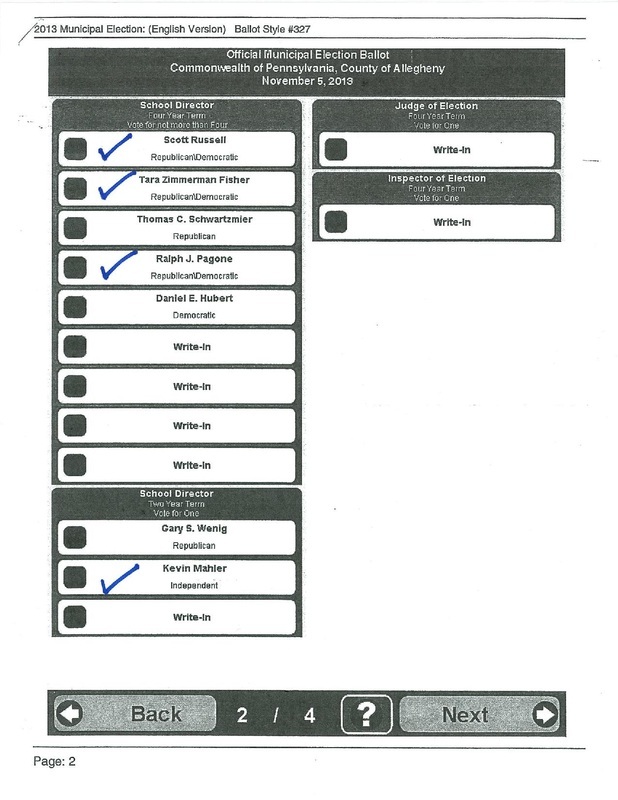 Please only vote for three candidates at the polls tomorrow-FISHER-PAGONE-RUSSELL. 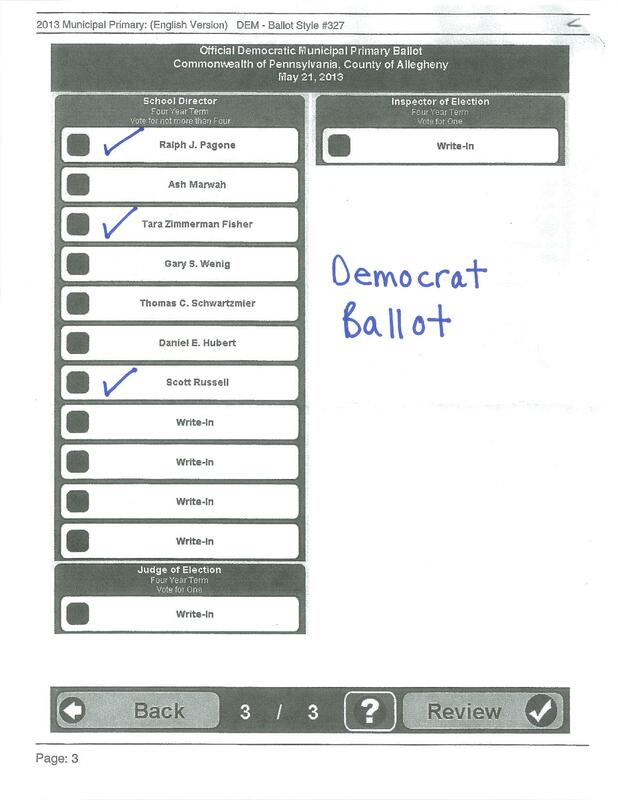 Do not select a fourth candidate on your ballot. This is a common practice in elections where several candidates are vying for only a few spots. It will help our 3 candidates be amongst the top vote getters once the votes are totaled. The machine will notify you that you have an “incomplete ballot.” Simply choose to “continue” and submit your ballot. The top 4 vote getters are the only names that will appear on the ballot in November. Only vote FISHER-PAGONE-RUSSELL! 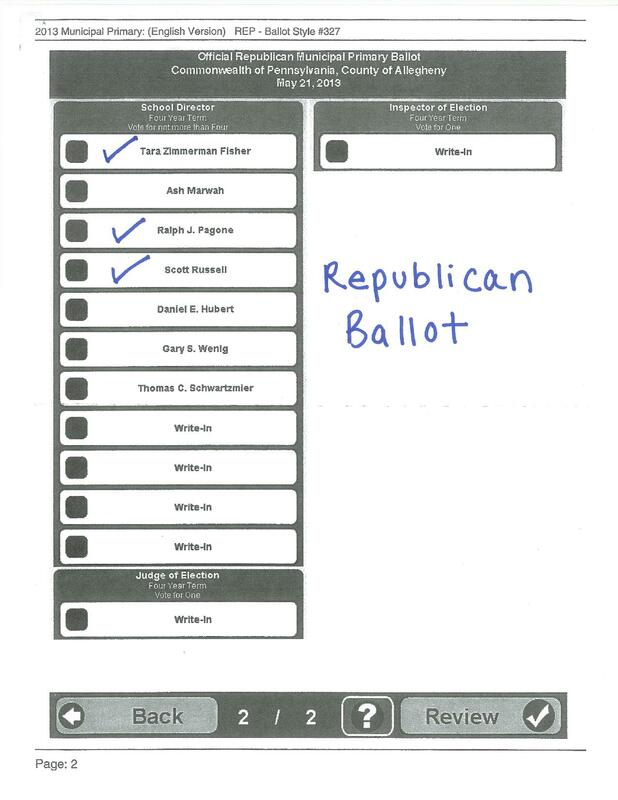 A sample Republican ballot and a sample Democrat ballot are shown below.